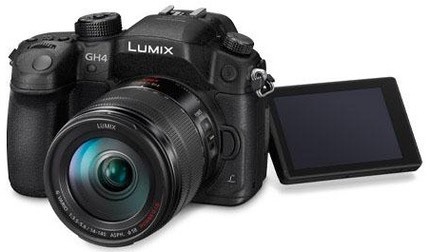 Today Panasonic introduced the latest push of the GH series into serious video: the GH4. "4" in this case means 4K. If you had any doubts that the GH design was video-oriented, they should be fully erased by now. That doesn't mean that camera isn't capable of taking still images, but that virtually all of the technology development is centered on the video side. To some degree, the GH4 is a videographer's dream. 4K video capability is what a lot of folk will probably talk up, but the 200Mbps bit rate using ALL-I intra mode compression and faster off-sensor movement of data (less rolling shutter) are more interesting to me. (For the reasons why, read my article on Why No 4K.) We've also got an optional mammoth YAGH interface adapter for XLR audio input and SDI output, plus 4:2:2 color at 100Mbps, and even 120 fps at 1080P. That's a lot of attention to the video side, and the specs will probably make most videographers drool when they see the body only price that should be under US$2000 (official price will be announced in mid-March). 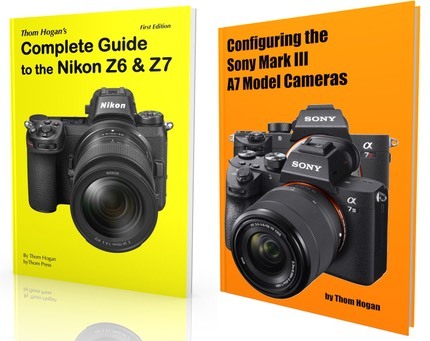 You can't come close to getting that mix of features at that price, plus the GH4 is a m4/3 camera, meaning it has a reasonably large sensor (for DOF isolation with fast lenses) and a very healthy stable of lens choices to mount out front. I can see a lot of guerrilla videographers with a GH4 and a pair of Blackmagic Pocket Cinema Cameras, which would provide a pretty nice set of features and B-roll capability in a small bag. One other useful video feature comes with the YAGH interface unit: the SDI output for 4K video is uncompressed 10-bit, which is a very high end specification. Of course you will need a new type of card to get all the goodness out of the video side (basically Panasonic's P2 card technology in an SD shape and size). Panasonic also has apparently paid much more attention to heat dispersion, and juiced up the focus system some as well (additional performance and good peaking features). From a still camera standpoint, things haven't really changed much, though there are some significant changes. The new camera is still basically the GH3 body and feature set, and the stills side is still 16mp. The EVF gets a boost to the same 2.36m dot system everyone else seems to be using, and a few other features like frame rate get similar boosts to current technology, as well. The rear LCD is now 1.04m dots, the mechanical shutter supports 1/8000 and 1/250 flash sync and is rated to 200k activations. But frankly, the GH3 is big for a m4/3 still camera these days, and I really think that most folk will be looking at the GH4 as a video camera, especially given it's price and specifications. That you can take nice stills with it seems to be icing on the cake, not the cake itself. Taken with the recent GM1, with the GH4 Panasonic seems to now be taking a "we'll try different" approach in m4/3. Certainly they've effectively steered away from the Olympus "mini-DSLR" onslaught.